Sell books the smart way. Five years ago releasing a book as an indie author meant uploading it, then begging everyone you knew to buy it. That method simply doesn't work anymore. Fortunately, there's a better way. Amazon has spent billions of dollars over the last decade building the world's best sales engine. They use machine learning to sell massive piles of books, and that engine is just waiting for you to tap into it. This is the book that will teach you how. 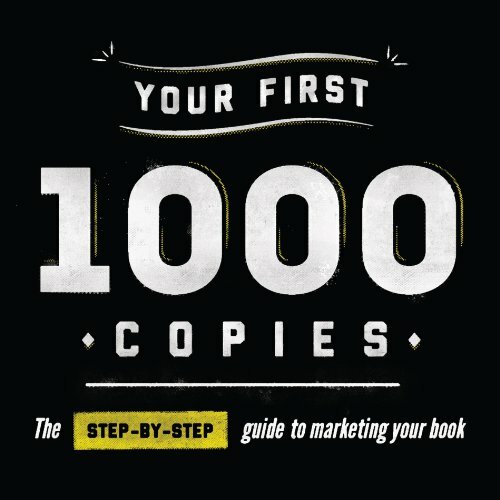 The One Book All Self Published Authors Must Read! Novelist Jessica Brody presents a comprehensive story-structure guide for novelists that applies the famed Save the Cat! screenwriting methodology to the world of novel writing. Revealing the 15 "beats" (plot points) that comprise a successful story - from the opening image to the finale - this audiobook lays out the 10 story genres ("Monster in the House"; "Whydunit"; "Dude with a Problem") alongside quirky, original insights ("Save the Cat"; "Shard of Glass") to help novelists craft a plot that will captivate - and a novel that will sell. Tip for finding the PDF!!! Launch to Market provides a simple system to plan, track, and execute your book launch. It covers the basics of marketing in an easy-to-understand way, complete with exercises that will prepare you for your best launch ever. You'll see real sales numbers from an author who just did exactly what you're trying to do, with takeaways that will show you exactly how I did it. In September 2011, I left my corporate job to become a full-time author and creative entrepreneur and since then I've grown my business year by year, all based on my writing. More importantly, I'm finally living the happy life I always wanted. I'm not a Kindle or blogging millionaire and this is not a get rich quick scheme. But I will share with you how I make a multi-six-figure income from writing books, blogging and marketing in an ethical manner. Are you struggling to grow your business? No matter what your definition of success is, each one of us out there has the dream of being successful. Maybe you want to be an entrepreneur, speaker, coach, or writer. Maybe you just have the dream of making good, passive income. Book Launch reveals the proven approach that all the top experts and millionaires are using to become successful: writing your own best-selling book. 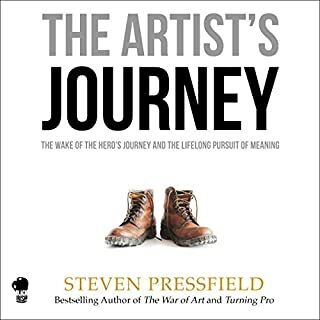 If you've listened to his books The War of Art and Turning Pro, you know that for 30 years Steven Pressfield (Gates of Fire, The Afghan Campaign etc.) wrote spec novel after spec novel before any publisher took him seriously. How did he finally break through? Ignoring just about every rule of commercial book publishing, Pressfield's "first" novel not only became a major best seller (over 250,000 copies sold), it was adapted into a feature film directed by Robert Redford and starring Matt Damon, Will Smith, and Charlize Theron. Everything you need to run your business as an author. This is not a book on creativity or the craft of writing. This is not a book for hobbyists. This is a book that will take your writing into the realm of actually paying the bills. You will learn how to go from being an author to running a business as an author. Don't die before you make your dent in the universe. Do you ever feel like you have something special to offer the world? Something that only you can bring to the table? With your unique talents, past experiences, and passions, you can make something totally new. Is it a novel? Is it a screenplay? A Michelin-star restaurant? Maybe it's the next billion-dollar app, or a world-changing non-profit. Whatever it is, it's your art. And it's just waiting to get out of you. All you have to do is start. Imagine if you had a direct connection with thousands of readers who loved reading your books. And imagine if those readers eagerly awaited the launch of your next book. How would that direct relationship with your readers change your writing career? How would you feel knowing that every time you started a new book project, you already had people excited to buy it and ready to recommend it to others? In Your First 1000 Copies, seasoned book marketing expert Tim Grahl walks you through how successful authors are using the online marketing tools to build their platform, connect with readers and sell more books. Tim has worked with over 100 different authors from top best sellers such as Hugh Howey, Daniel Pink, Charles Duhigg, Chip and Dan Heath, Ramit Sethi, and Pamela Slim to authors just get started on their first writing project. He has worked with authors across all fiction and non-fiction genres. Permission - How to open up communication with your readers where you can reliably engage them and invite them to be involved. Content - How to use content to engage with current readers and connect with new ones. Outreach - How to ethically and politely introduce yourself to new readers. Track - How to use modern online tools to see what's working and what's not working, and how to make decisions based on data. This is a system that any author can immediately put in place to start building their platform. Whether you're a seasoned author looking to step into the new publishing landscape, or you're a brand new author, Your First 1000 Copies will give you the tools to connect with readers and sell more books. Great content about how authors can take their careers (and, by extension, their lives) into their own hands. Tim's advice is both practical and revolutionary. Very empowering! Unlike some people, I enjoy nonfiction audiobooks narrated by the author. It gives the book a flair that professional narrators can't. After all, the author knows best how to express the ideas. That's the case here, as the author does a great job of expressing himself. I've listened to him in seminars and podcasts, and his voice is consistent. Also, the bonus interview at the end with Tim was totally unexpected and greatly appreciated. I almost missed it, though. Performance-wise, this could have been better, but that's to be expected from an author-narrated book. There were a few run-on sentences and choppy reads that could have been better. They weren't too distracting, but they were noticeable. This was a great audiobook, and I'd definitely listen to it again. A great book with ridiculously helpful content. If only I could implement every step he walks you through, I'd be huge success. One step at a time! A great resource for both new and more established authors. Genuine and non spammy advice. GREAT Information - a MUST READ for all authors! Any author looking to promote their books so they can finally make a living at writing MUST READ this book. The guidance is invaluable and focuses the author on what's most important - writing and reaching readers. 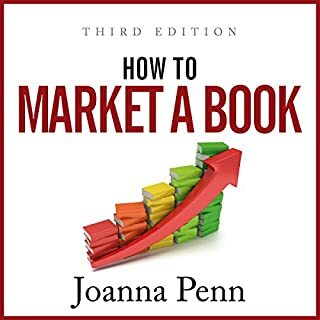 Since most of our time as authors needs to be focused on writing, this book narrows not only the scope of effort spent on marketing, but precisely what to do with each tool in the author's marketing toolbox - building a mailing list, how to build a mailing list, social media, website management and how to use all of those in harmony. Maximizing your time as an author is what this book excels at! I will say, however, that the audiobook version - performed by the author - was a little difficult to get through. There are very distracting sounds on the track: page turning noises, the microphone was scraped/moved across the desk or jostled at one point, the author is heard swallowing or breathing or lip smacking several times throughout the performance. When you have earbuds in, this is really annoying. There were at least 2-3 times or more where a phrase was repeated, I guess in a re-read, but that was never edited out. I was surprised to learn at the end of the book that this was professionally edited by a sound company. I muddled through the performance, though, because the information was SO VALUABLE! 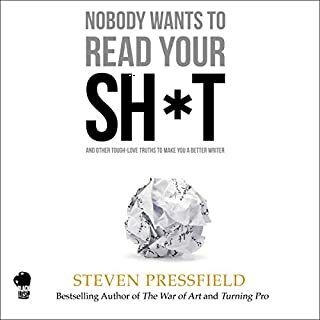 I still recommend getting the book and if you're as busy as I am, the audiobook version is valuable in that I listened to it while I was working. If you could sum up Your First 1000 Copies in three words, what would they be? What was one of the most memorable moments of Your First 1000 Copies? The realization that pop-ups( if done correctly and with the right mindset of adding value to your subscribers) are not viewed as annoying but as something desirable your fan or subscriber will actually want. Which character – as performed by Tim Grahl – was your favorite? Tim Grahl did a perfect Tim Grahl impression for the entire book. Tim sounds down to earth and offers sound advice with no wasted time or space. Very useful. One thing I loved about this book was how many things you could put into practice immediately. I paused the book several times to complete actions he suggested. Before I was done listening to it I had a non-intrusive, value adding pop-up on my website and already had some subscribers to my email list, and had already sent out some free content. Would recommend to all authors interested in growing reach and fan base in a natural, non-saleman-ish way. This book is lean because the author does not endlessly repeat platitudes and give vague words of advice. Many audio books on promoting the sale of new books sound like they are selling themselves instead of giving concrete actionable advice. They are fluffed out to book length when the net information contained in them could be stated in a single paragraph. This book is meaty because it is full of concise factual advice laid out in a logical manner. The author outlines the tools and plans that the reader can put into action immediately. He also tells the reader what actions would not be worth their time. What other book might you compare Your First 1000 Copies to and why? This question applies more to works of fiction. 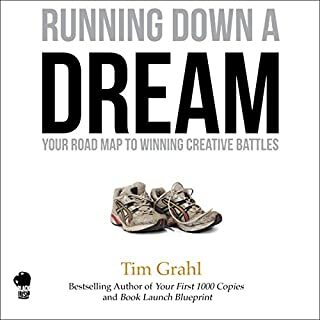 Tim Grahl narrated his own book which works well because he understands his own material better than a hired narrator. This question may apply more to fiction. I have ordered the paperback version of this book to use as a reference copy. Your First 1000 Copies guides you through the process of developing your fan base. Tim emphasizes the importance of creating an email list. Its okay to manage your marketing and launch through social media but you want to hook people and get them on to an email list. 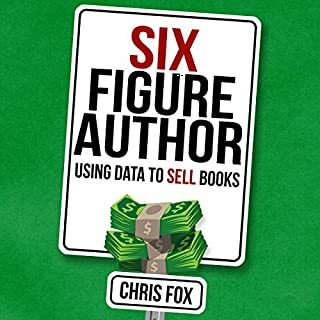 Check this book out if you want to extend your reach and provide more value from your book. Amazingly helpful for authors learning the trade but beware language, a few book recommendations or examples include harsh language. 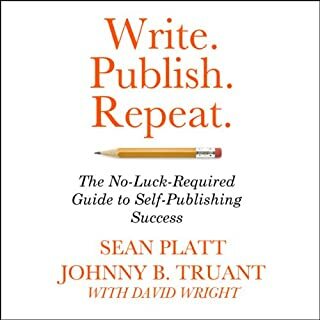 If you're writing non-fiction, this book is an excellent choice. The examples and illustrations are immediately applicable. However, for a fiction writer it's a bit more challenging to glean practical tips. The bonus material at the very end finally gives some tips that fiction authors can get a handle on, although I wish he'd used another example instead of Hugh Howie. Mr. Howie is amazing, but he already had his breakout hit when he began using Tim Grahl's methods. It would have been more useful to hear about a fiction writer starting from zero who made these principles work for them. What made the experience of listening to Your First 1000 Copies the most enjoyable? Though I partly sympathised with another review that says – 'it’s one basic idea – create a subscriber list,' I feel the book turned out to offer a lot more. For example Grahl makes really good points about social media which, after a year of experiment and expenditure, I whole-heartedly agree with. Also, we can all create a website with a subscriber widget – but how to make it effective and work for us? May as well spend a couple of quid and spend a couple of hours listening to an audio that explains how to make it for us. Well worth the investment. I listened to the whole thing in a short time, and have taken a lot away from it, so I would definitely recommend this to people wondering if this book would be advantageous to them and if they should give it a go. good practical advice, useful and entertaining. great to hear from someone who has been there and done it successfully.